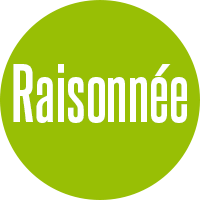 Découvrez les vins de nos vignerons préférés, goûtés et recommandés par la communauté. Achetez en direct à des vignerons passionnés, qui vous livrent gratuitement dès 6 bouteilles. Partagez vos coups de coeur avec la communauté et les vignerons... ils vous répondent ! Visits & Wine Tasting in Bordeaux ! Visits & Wine Tasting in Provence ! Visits & Wine Tasting in Loire ! Visits & Wine Tasting in Alsace ! Visits & Wine Tasting in Rhône ! Visits & Wine Tasting in Champagne ! Excellent, everything went very well, I highly recommend We found on this site some hidden gems I couldn't find anywhere else"
I've only had good surprises. Wines are great, prices very competitive and shipping always stress free"
Large offer of atypical wines, lot of interesting reads on the blog which help getting to know the winemaker, a strong list of Organic Wines, fast delivery. Whate else ?" Les Grappes in the media ! Les Grappes is a wine marketplace. 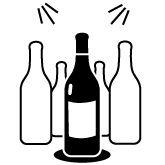 It allows consumers to buy their wines directly from the winegrowers based on the tastes of the community. 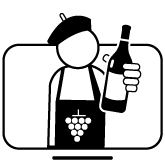 Our objective is to make it easier for you to buy wine and to give you as much pleasure to buy as to taste..